I am no different than most amateur astronomers. Even with my large collection of telescopes, I was hit with aperture fever and decided to build a Dobsonian telescope. Upon completion of my telescope, I needed to collimate the telescope. The optic's were in dire need of alignment, and the only tool to do the proper job is a collimation tool. It was the perfect opportunity for me to try, and to review the Laser Dream laser collimator by Astro Engineering. I soon received the package in the mail. 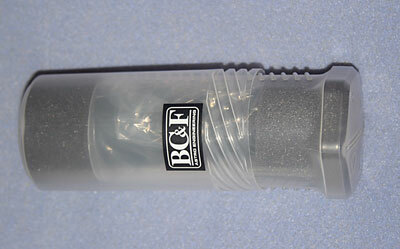 The laser collimator was packaged in a cardboard tube. 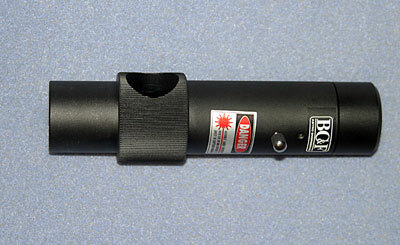 Once I opened the tube, the laser collimator was securely packaged in a large eyepiece case and surrounded by foam. Very impressive. I removed the collimator from its case. It appeared very well-made, and it's fit and finish was excellent. One of the first things I noticed was the mottled finish and an engraved target on the diagonal. This was very different from the last collimator that I ever had the opportunity to use. The other collimator that I have used had a smooth finish and no engraved target. This alone let me know that this collimator would be easier use than the one that I have previous experience with. With a quick twist of the knurled chrome knob, the laser beam fired up with more than sufficient brightness. This clearly is a laser collimator that has been well thought out, and equipped to do the job properly. I mounted the collimator in my Moonlight CR1 focuser, using the two inch to 1 1/4 inch eyepiece adapter. The fit was near perfect in the 1 1/4 inch adapter in the focuser. I have used other laser collimators where the fit was loose in the focuser, causing major alignment control problems. Upon firing the laser, the beam is immediately evident on the face of my secondary mirror, and with some minor adjustments I was able to properly center my secondary mirror in the secondary cage. I could now turn my attention to my primary mirror. Using the secondary mirror adjusters, I targeted the laser beam to the ring marking the center of my primary mirror. Then, using the collimation adjusters on my primary cell, I made adjustments to target the laser beam back to the same point on my secondary mirror that the laser beam is producing on its way to the primary mirror. Looking into the side of a laser collimator and at the diagonal target, I could see where I needed to make the minor adjustments to accurately position my primary mirror to finish my collimation of the telescope. I was surprised to see that the laser beam was so bright that I can see a reflection of the round target on my primary mirror reflected back onto the diagonal. This alone made extremely easy to finish an accurate collimation of my primary mirror. Using the darker reflection of the center ring from my primary, I positioned the ring reflection around the center if the target on the diagonal and the diagonal lit up in a nice even red sheen, letting me know that the scope was collimated and ready to use. I often wonder if a brighter surface on the diagonal surface of the collimator would not be easier to see, but this diagonal, with the mottled surface and target markings was a dream to use. The Astro Engineering Laser Dream is easy to use, very fast, and very efficient. The Laser Collimator from the other manufacturer that I have had an opportunity to use did not have the well built quality, or the bright laser that this unit possesses. As usual, you must use all necessary precautions as this is a laser, and a bright one at that. Considering the cost of the Laser Dream laser collimator, and a similar cost of the other laser collimator that I've used, choosing the Laser Dream laser collimator by Astro Engineering is a true no-brainer. The Laser Dream is an excellent example of quality product at a very reasonable price. I highly recommend this piece of equipment. I have permanently added it to my case.